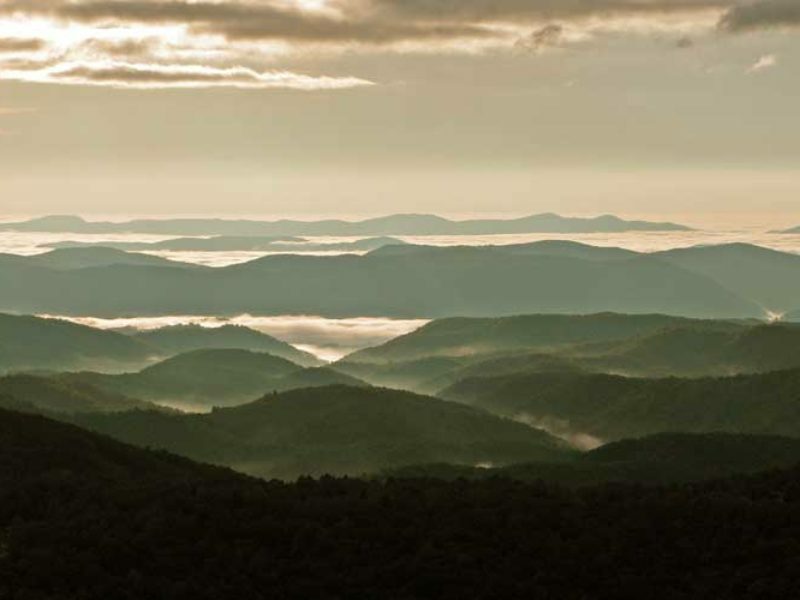 Driving this weekend’s worth of the gently winding Blue Ridge Parkway reveals the rise in Appalachian terrain from plateau to mountainous where Virginia meets North Carolina. 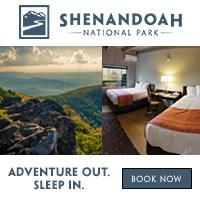 Rarely does a weekend getaway thrill nature lovers, families, history and geology buffs of all ages, and seekers of nightlife equally while offering accessible facilities along the way for everyone in your group. This manageable portion of the 469-mile road affords the leisure to travel the rolling pastures of Doughton Park (Milepost 240 – 245) at your own pace, revel in the breathtaking views along the Grandfather Mountain Corridor (Milepost 295 – 300), and explore the rugged beauty of Linville Gorge (Milepost 317) with time for stops in some of the thriving communities along the way. 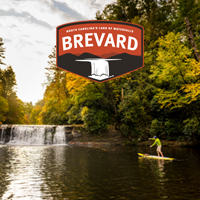 Download the free Blue Ridge Parkway – Travel Planner app before you set out to navigate, learn more as you journey, and maintain the semblance of connection to the world you left behind as you travel between towns. Parts of the Parkway are out of cell reception but the app works where ever you are with maps, customizable favorites, and helpful information like directions to the nearest gas station. If this sounds like a bit of an adventure, indeed, it is. This is one of those places GPS can’t quite find. But you’re never too far from an access point to lead you back to main roads and their return to civilization. You are also likely to see friendly rangers at visitor centers and other intrepid explorers at the overlooks along your route. A plethora of original Parkway design circa the 1940s can be found on this particular leg of the scenic byway. Here, early twentieth century mountain cabins share roots with sprawling country estates. Spending the night in the small towns of North Carolina is the perfect opportunity to explore the unique mountain culture of the American South. If you’ve a mind and endurance for it, hiking boots can be put to good use on the many pristine trails along Grandfather Mountain and Linville Falls. Wrap up your jaunt by unwinding in Little Switzerland, where views at 3200 – 4000 feet elevation are said to remind visitors of the Swiss Alps’ foothills. Heading south through Cumberland Knob at Milepost 218, you’re traveling the first section of the Parkway constructed in 1935. At Milepost 238.5 you can view the original mountain cabin of the Brinegar family on the National Register of Historic Places at Doughton Park. Continuing south, Sally Mae’s on the Parkway in the Northwest Trading Post at Milepost 258.6 is a fun stop for snacks or souvenirs reminiscent of days gone by – think honey, jam and pickles like grandma used to make, along with toys and fine handcrafted jewelry. E.B. Jeffress Park and the Cascades at Milepost 272 is a natural choice for an elevensies picnic or a one-mile hike to the Cascades waterfalls. A shorter hike is available just across the Parkway, following a half-mile trail to the historic Cool Springs Baptist Church and Jesse Brown Cabin. The charming town of Blowing Rock is easy access afterward for lunch. Exit the Parkway at Milepost 291 for shopping, restaurants and to see mysterious namesake The Blowing Rock attraction – where it’s been known to snow upside down. Back to the tranquility of the Parkway after lunch, your drive passes through the Grandfather Mountain Corridor in North Carolina’s High Country. Stop at Moses Cone Memorial Park, Milepost 294, where the ground floor of the former summer retreat is now a Parkway Craft Center shop filled with treasures by regional artisans. 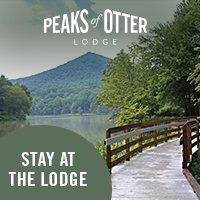 Rambling around upstairs reveals the marvel of early indoor lighting and antique glass windows framing views of Price Lake, the old carriage trails and the sweeping estate that’s now a well-loved park within the Blue Ridge Parkway. There is no fee to tour the fascinating house and grounds, and locals walk their dogs on the pathways. For a different vantage, Julian Price Park and Price Lake Overlook are just a few miles south at Milepost 297. The iconic and oft photographed Linn Cove Viaduct and Visitor Center at Milepost 304.4 is an opportunity to experience the Parkway’s “final link.” This feat of engineering fully connected the Parkway as a whole and wasn’t completed until 1987. Trails all along the Grandfather Corridor lead up the mountainside to long or short hikes through habitat unique to the Blue Ridge. Stop for the night in nearby Boone where a bite and a cold beverage at downtown’s Lost Province Brewing Co. will not disappoint. Home to Appalachian State University, Boone possesses both a charming small town vibe and a worldly sophistication all its own. 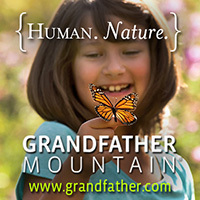 Set out for the Parkway the next morning and head to Grandfather Mountain, one of North Carolina’s oldest attractions. The allure of a mile-high swinging bridge and close encounters with wildlife through managed habitats have stood the test of time. Naturalists provide informative programs throughout the day educating visitors about the bear, eagles, otters and other creatures who make the mountain their home. A restaurant, museum, gift shops, picnic areas and hiking trails provide ample opportunity to stretch your legs, enjoy the scenery and stay a while. Following an impressively curvy road to the top of the mountain pays off in views for miles and miles in every direction. 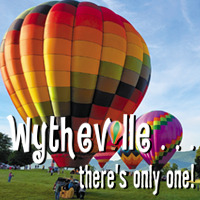 Continue south on the Parkway to Linville Falls at Milepost 317. Situated on the Linville River, the Visitor Center offers an educational gift shop and is the official trailhead for numerous hikes to overlooks of the gorge and Falls. This was the first National Wilderness Area designated in the east and its unbroken expanses of forest are a popular quiet getaway for nature-lovers. Back on the road, head south for fifteen miles to the Museum of North Carolina Minerals at Milepost 331. The geology of the Blue Ridge region comes to life here in interactive exhibits. The area is one of the most mineral-rich in the world. Kids and grownups alike will learn something new and get a chance to see gems and minerals native to the ground on which they stand. Settle in for a repose at Milepost 334 where the Switzerland Inn offers picture perfect surroundings for contemplating where you’ve been. Panoramic mountain views are yours three meals a day in the Chalet Restaurant onsite. The tranquil property with its stylized architecture also offers a pool, massages at the spa, and a collection of distinctive galleries and shops on premises. A Blue Ridge Parkway road trip is a nod to a simpler time, when the pace of life (and traffic) was a bit slower and you might just let that call go to voicemail. Driving this scenic byway is the ultimate getaway. The Parkway offers to remind us what nature sounds and smells like, how it feels to watch clouds rolling over wide blue skies unbroken by power lines. The Parkway waits to rekindle our appreciation of skilled handcrafts, allowing a glimpse through time to the history of how we got here.